At one point or the other in our lives we are faced with the problem of buying homes that meet our specific needs. Some people however, may decide to confront this problem by themselves. Thus, they begin to look for homes for sale. Good and cost saving as this approach might be the unforeseen problems associated with going it alone may wipe away the costs saved. It is therefore advantageous to find a qualified realtor who has access to real estate listings that are available in one choice area. These realtors have the skills to hunt for homes that meet your taste, income and needs. This will save a considerable amount of time that might be used in productive activities. Realtors are experts that have been licensed to practice and they are guided by codes of conduct which if breached will attract serious penalties. They are expected to place the interests of their clients above their own, hence, they are expected to work for their clients’ satisfaction. Going it alone may lead to paying more for a home than the actual value. Realtors are pricing experts who are conversant with the prices of different properties. They can come to the aid of their clients by making fair negotiations with sellers. The prices of homes for sale differs from one neighborhood to another depending on the facilities available. Realtors have information about different areas and they can offer valuable advice to prospective buyers. Most times when a property is chosen from real estate listings, it is the job of realtor to inspect the home and request for repairs where it is necessary on behalf of the buyer. A prospective buyer may not be able to handle this issue effectively, which may lead to friction with the seller. The realtors have adequate sense of what is fair when requesting that a home be repaired because of their experience in handling such cases. The decision to go it alone without an expert realtor may affect negatively the proper transfer of the home to the buyer. It is the responsibility of the realtor to handle paper work. He must see to it that all the papers are signed by those who need to do so. Apart from that, the realtor has the duty to keep these records properly, so that they can be easily retrieved if the need arises in future. Secured record keeping is guaranteed when a realtor is involved in the transaction. There are some properties that are not in the real estate listings in other words such homes are not advertised. Realtors will know about such homes which the buyers can inspect and make choices that suit them. To forestall future problems with homes for sale, a realtor has the duty of guiding prospective buyers in the choice of property so as to ensure peace of mind and eliminate potential problems. Although, saving a percentage of what a home costs is a good idea however, the problems and the stress associated with such purchase without the expert guidance of a realtor will wipe away such gain. When it comes to buying or selling property it is extremely important that you enlist the assistance of a real estate professional in the area you are looking to buy or sell the property. Regardless of whether you have some amount of real estate experience you cannot equal the knowledge that an agent that is from the area that you are looking at has of the local market. When you find a local realtor that you think you might be interested in working with you should sit down and discuss things in order to select the best one for your needs. We put together a list of essential questions that should help you to glean all of the information from that you will be able to use to make your final selection. How many years have you been in the area? This is extremely important to get to know whether or not they have enough knowledge of the local community. If they don’t have many years of experience, this should give you a reason not to go with them. How many clients are you currently working with? Finding out how many people they are working with will give you an idea of how much time they could devote to your needs. Do you work with most buyers as compared to sellers or vice versa? If an agent works mostly buyers or mostly sellers, they may not have as much experience with the other and that could be an issue. Is there a specific area that you cover? Finding out up front if your agent is tied to a specific area can end up limiting you in your opportunities. Does your agency use teams and are you part of one? Knowing if your agent is part of a larger team is a good thing to know so that you know that you could be working with another agent at some point. Are you able to handle a few of these unique situations? Put together a list of unique situations and see how they respond to each specific situation. How do you prefer to handle communication with your clients? It is a really good idea to find out right off the bat how you will be communicating with your agent. Do you have a rapport with some of the local professional groups? It is really important for an agent to have a really good working relationship with the key vendors that work in the areas related to real estate. Can I get 3 references with contact information? It is always important to get references so that you can find out what other people who already worked with think about them. Last but certainly the least, ask if they have any questions. A huge reason why you should put your home up for sale in spring is the fact that the warm weather, the green grass and all the flowers are blooming so potential buyers really see the beauty in your home. Spring’s many factors really set up a pretty view of your home that ups the curb appeal and attracts buyers. Because there’s more sunlight during spring, which means potential buyers have more time to view your home than in winter. You can have home eyeballs look at your home throughout the day and this only increases your chances of selling your home fast! If you have kids, chances are you want them to close out the school year at their current school. If you sell in the spring, you’ll most likely close right around the time school finishes, which mean no interruption in their school studies. And they’ll be able to start the new school year at a new school. Spring is usually a time when first-home buyers start looking for home since they’ve just done their taxes and have more money to use for their down payment. Selling in spring will increase your chances of getting the most bids for you home with the highest prices. There are been plenty of research that shows the first two weeks in May have higher returns on houses than any other time of year. Homes are expensive, and getting even more so every day. (Also, water is wet and the sky is blue!) Making an offer over asking price—sometimes by absurd amounts—has become a harrowing norm for today’s buyers. But even as the market rockets upward, there are always those buyers. You know the type: You visit their new home for a dinner party, and halfway through the meal, they lean over to whisper in your ear. “We got a killer deal,” they say. “Under list price. Then you proceed to silently hate them forever. Because. Homes. Are. Expensive. But getting an awesome deal on a house isn’t impossible, even in a hot market. If you learn to read the signals, you just might find sellers who are amenable to an offer below asking price. To be clear: Real estate pros warn against extremely lowball offers (typically more than 15% below listing price) because you might offend the sellers—even if the home’s been on the market for months. Strategize with your agent to determine both how far under listing price you’re comfortable going, and what you think the sellers might respond to. Not sure where to start? These five signs will help you determine when the time is right for a low offer. Not every seller wants to wait for an over-the-top, so-much-money-it-takes-your-breath-away offer. Some homeowners want to sell quickly, and they’re willing to accept lower offers to do so. A little bit of sleuthing by you and your real estate agent can go a long way in figuring out the sellers’ motivation: Have they recently gone into default on their loan? Are they trying to move to a new state for a job, or to take care of elderly relatives? Did they inherit the house but don’t have any interest in the real estate game? Just because a home is expensive doesn’t mean it’s overpriced—it might be worth every penny. But sellers do often get an inflated sense of their home’s value. And those homes can languish on the market. Enter: You and your below-asking offer. Work with your agent to look at the comps for your area, and find out what other homes are selling for. If there’s one that makes you say they’re out of their damn minds, it might be ripe for a low offer. “You may in fact be the only offer this frustrated and anxious seller has seen yet,” says RJ Winberg, an agent in Orange County, CA. Maybe you have a flexible wish list. Two bedrooms, three bedrooms—more space is great but you really need only one, right? Perhaps you care only about how your house looks on the inside. Or maybe you’re planning a full renovation no matter what you buy. If all you care about is price, don’t feel bad throwing below-asking offers left and right. Keep your eyes peeled for a home that’s been on the market, then off, then on again. This home might be a prime candidate for your low offer. After all, imagine the seller’s irritation: Listing a home can be an arduous process, filled with open houses, surprise showings, and negotiations—only to have the buyer back out at the last minute. “This often means that the seller is getting frustrated with the process of being on the market and may be more open to accepting a lower offer, just to get through the process,” says Klaus Gonche, a Realtor® in Fort Lauderdale, FL. But before you make an offer, see if your agent can get some intel: It’s possible there’s another reason the sellers are listing and relisting their house—such as they don’t actually want to sell. Elizabeth Gigler, an agent in Naperville, IL, has three requirements for going in low: First, the home must have been on the market for more than 60 days. Second, the home must have old mechanicals. (Updating a vintage HVAC system could cost thousands of dollars—meaning that a low offer is entirely justified.) Third, the home “is completely outdated,” she says. That ’70s-era burnt orange shag carpeting isn’t anyone’s style these days. The sellers might presume they’ll get full asking price without swapping in something more neutral; however, they might change their tune after a few months on the market without any offers. That’s when you swoop in with a low offer—and get yourself a killer deal to brag about at your next dinner party. When snow melts the running water often can enter into basements, crawlspaces, or cement foundations. If this occurs, it usually shows up in the form of yellow patches on inside walls or bulging paint patches. These are not often spotted by excited homebuyers however real estate agents are well trained in finding these smaller issues that can easily be covered during the viewing process. It is crucial to thoroughly examine the exterior of the home when viewing homes. Peeling paint, cracks in the siding, and an abundance of mold can be indicators of structural issues throughout the home. Real estate agents will always have homeowners check out the crawlspace, attic, basement, and utility rooms. These are the areas within a home that often conceal water and mold issues because these areas are often given less care when sellers are getting a home ready to sell. However, the bones of the home need to be examined. It is important to take a deep breathe in each of these areas to make sure that you are not catching notes of musty smells that can indicate moisture is getting into the foundation framing and insulation. Snow, sleet, and rainwater can cause havoc on roofs, especially when shingled with asphalt shingling. Although it may seem just a little silly, a set of binoculars should be used by a real estate agent or home buyer when going for a home viewing. These can help you get an obvious look at the situation above the gutters. Cracks and curling could indicate the shingles need to be replaced. Knowing potential trouble spots when buying a home before making an offer, paying for an inspection or worse yet moving in will help to make sure that home buyers make the best buying decision possible. This is one of the reasons it is so important to use a real estate agent when buying or selling a home. Learn more about C21 Lady of the Lakes Realtors and the numerous services they offer including: buying a new home, selling a home, or renting a home at www.ladyofthelakes.com. To contact one of our real estate agents, call 734-426-6060 today. 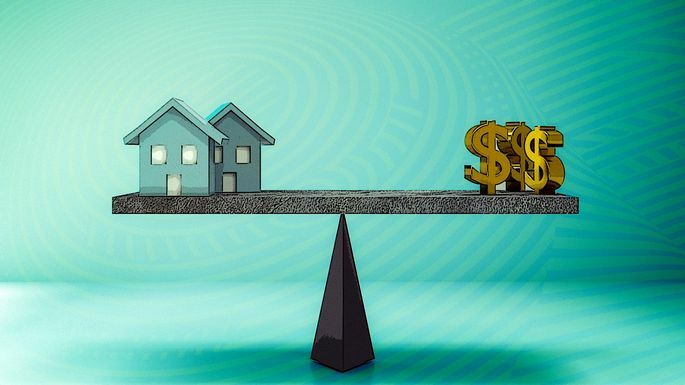 Buying a home isn’t cheap and will take a huge chunk of savings for the down payment. Although many would love to own their own home, not many do because they can’t afford such a large down payment. Ideally, you should have been saving for your home for a couple of years. The good news is that there are a number of different loan options you might qualify for without even having to come up with the usual 20% it takes for a conventional loan. It is important to look at your budget and speak to a professional mortgage broker and real estate agent before starting to look for a home. In order to get the best loan out there it helps to have a pretty high credit score. This will get you a lower interest rate on your mortgage. You should have between a 670 FICO and a 730 FICO, which is ideal for getting the best interest rates. The key to finding your home is having a good real estate agent which should be a priority for you when you are first embarking on the journey to owning your first home. Ask family and friends for recommendations or look for local agents in the area you would like to buy a home in. Usually, your real estate agent will recommend you a mortgage broker that they work in conjunction with. But if not, you’ll have to find one that will help you with your loan to buy the home. They’ll get you prequalified for a home and then help you through the entire process. Doing a bit of research will help you find your dream home which is why you need to narrow down the different neighborhoods you are interested in and see the price range that the houses are going for. Going out and seeing the actual homes is the fun part but before you go out and do that you’ll need to decide on a list of things you’d like your perfect house to have. This way you’ll be able to search homes that have everything on your list instead of wasting your time looking at every home on the market. Sit down with your realtor and figure out a home buying strategy so that the entire process runs seamlessly. Are you looking for a fixer upper or maybe you’ll want to write contingent offers? Your real estate agent can help you figure this all out so that there will not be any surprises.